Yuengling has always has it’s roots in German brewing, as the Yuengling family came to settle in Pennsylvania from Germany. This month, the brewery celebrates their German heritage by releasing Oktoberfest their first ‘fest’ beer. The copper-colored Oktoberfest is described as “a medium-bodied beer with a perfect blend of roasted malts.” In other words, it’ll pair nicely with any wienerschnitzels and bratwursts you might be grilling up this summer and fall. Update October, 2012. Also now available in 12oz bottles. Fall is a great time of year for beer. Not only to drink it but to release it. 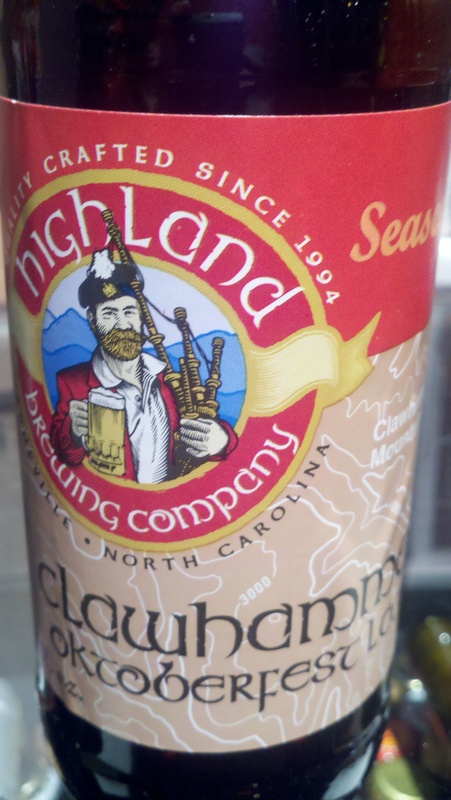 Highland Brewing’s fall lager “Clawhammer Oktoberfest” has arrived for a short engagement. Clawhammer Oktoberfest is a lightly colored, but toasty, rich and full bodied Marzen style lager, brewed with traditional German malt and the finest noble hops. A spicy hop finish and aroma balance out the abundance of malt flavor. Clawhammer means pure high-country enjoyment! Taste Expectations: Malt forward of course, caramel & spicy malts. Touch of honey & cinnamon. Availability: 12oz/6 pks. Draft. Fall seasonal. Stevens Point Brewing’s marzen finds it’s way here from Stevens Point, Wisconsin. This fall lager won a silver medal in the World Beer Championships in 2008. 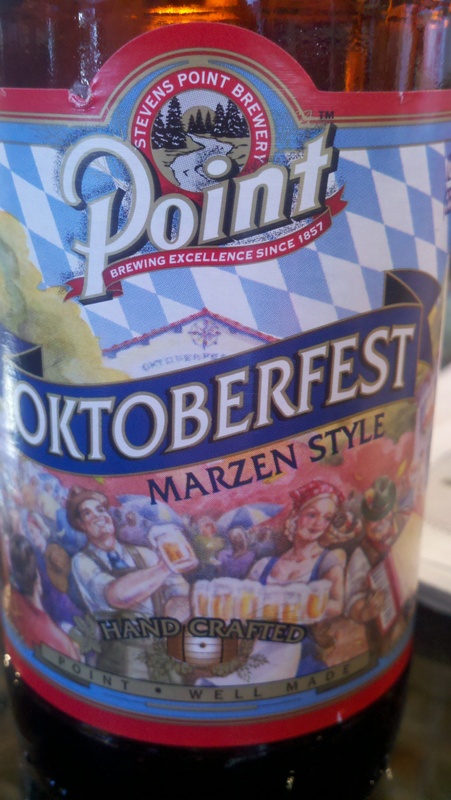 Point Oktoberfest is an authentic Marzen Style Lager beer, a style reminiscent of the beers originally brewed for the first Oktoberfest Celebrations in Germany during the early 1800’s. Craft brewed using Hallertauer Hops and sweet Vienna roasted malts result in a full flavored, finely balanced beer brewed in celebration of the upcoming season. Taste Expectations: Bready malts with light spice. Malts are sweet and linger a bit, without a heavy mouthfeel. Availability: 12oz/6pks. Draft. August – October 31st, seasonally. 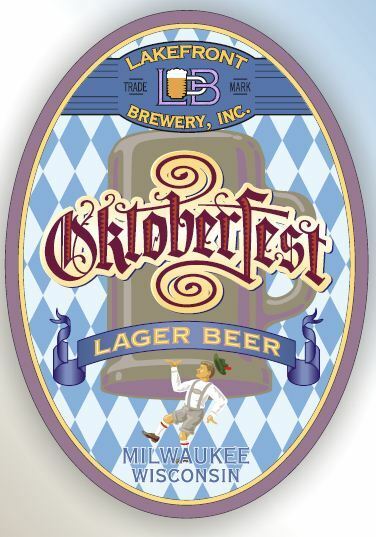 Following on the heels of Lakefront Brewing’s “Pumpkin Lager” is their other fall lager offering – “Oktoberfest”. This traditional lager is brewed with generous amounts of Munich malt, giving it a wonderful orange hue with a rocky, off-white head. Light hop aromas balance out a slightly floral nose from the German lager yeast. Balanced hop bitterness offsets the substantial malt body, while the lager yeast adds a subtlety of flavor that makes this a great rendition of a German classic. Prost! Taste Expectations: Malty of course – sweet caramel malts. You’ll also pick up a little bread & biscuit. A good solid American marzen. Food Pairings: German food! Sausages and pretzels, buttery spaetzle or creamy soups. Availability: 12oz/6pks. No draft specified. 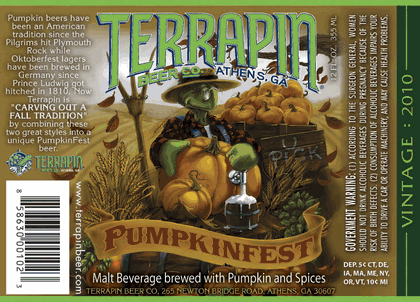 Tapping Friday , October 1st is Terrapin’s newest seasonal – Pumpkinfest. Brewed with a mix of Vienna and Munich malts, and Vanguard and Hallertau hops. Spike Buckhowski (Head Brewer/ Co-founder) chose these particular hops, because they have a more bitter character and less aroma. In addition to these malts/hops, Spike whipped up a whirlpool of spices, including ginger, allspice, and ground clove. (Starting to sound like pumpkin pie?) The spices are heated, but not boiled. Boiling the spices raises the potential for unwanted flavors to enter into the brew. The coup de grace of this fest ale is the 1 lb of pumpkin used per barrel. It’s marzen season. Fall is technically here, and thus it’s malty lagers follow with it. There is an oktoberfest/marzen beer that is a stands out each year. It’s a big one, which is nothing new to Avery Brewing (Boulder, Colorado). 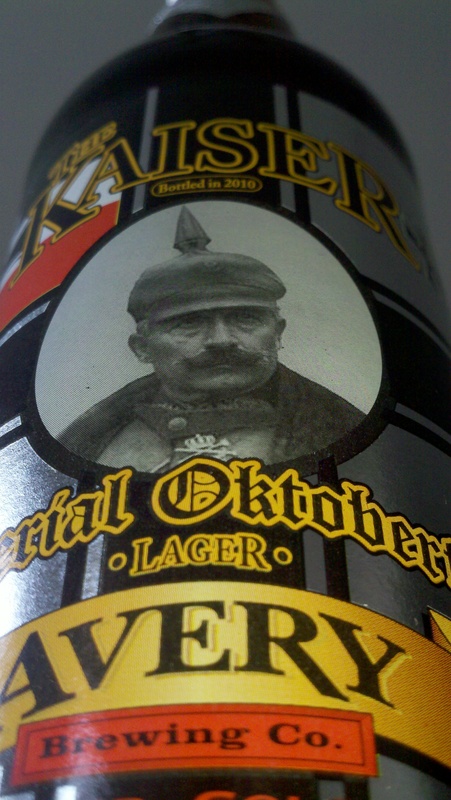 This aggressive beer bears the name “The Kaiser”. This is no 5% lager. The Kaiser sonce said, “Give me a woman who loves beer and I will conquer the world.” If the Kaiser and his significant other had tipped this bottle, we’d all be “sprechenden Deutsch!” We took all that is good in a traditional Oktoberfest – gorgeous, deep copper sheen, massive malty backbone and spicy, floral, pungent noble hops – then intensified each into this, an Imperial Oktoberfest. Taste Expectations: Sweet toasty bready malts. Caramel malts, slight twinge of brown sugar. Nice and grainy too. Dark fruits, slight hint of raisin. It’s 10%, but the alcohol doesn’t make a star appearance. Food Pairings: Fall soups, chicken, turkey, brats, dried meats, light cheeses. Availability: Vintage dated 22oz Bombers. Limited draft. Brewed Aug 1st seasonally. Fashionably late to the party is Harpoon Octoberfest. First brewed by the Boston, Massachusetts brewer in 1990, this fall lager has been brewed for 20 years this year. 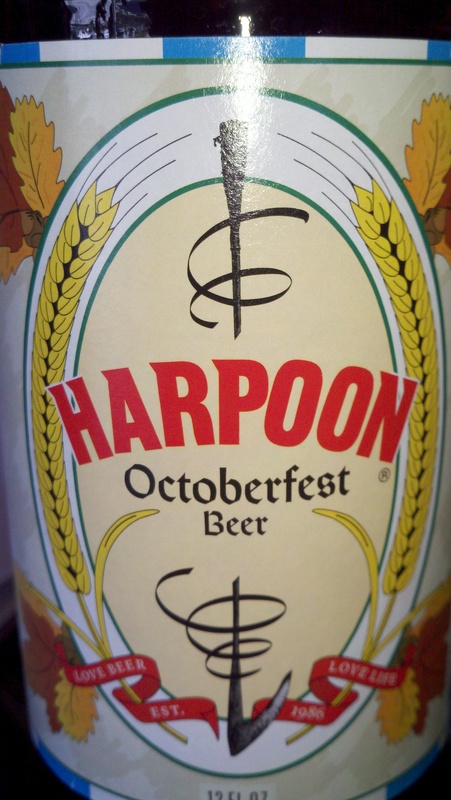 The character and complexity of Harpoon Octoberfest comes from the malt and hops. When looking at a freshly poured Harpoon Octoberfest, you will notice the garnet-red color with a firm, creamy head. The beer’s color is from a blend of Munich, chocolate, and pale malt. The thick head results in part from wheat malt added to the grist. The hop aroma of this beer is not overpowering but it is present. Tettnang hops add a subtle spice nose that blends with the malt character. This beer is full-bodied, smooth, and malty. Willamettehops are used to provide a gentle bitterness and to balance any residual sweetness present from the malt. The finish is soft and malty with a mild bitterness. Taste Expectations: Toasty malts. Caramel. Bread. Finishes with a nice hop bitter finish. Food Pairings: Pork, Sausage, German fare.